By Catherine on April 22, 2013 | Last Updated March 13, 2019 | 55 Comments | Medical Disclaimer | This Post Contains Affiliate Links - I may receive a commission if you purchase through links in this post. Just as nature intended, your body has the ability to “spring clean” naturally on a daily basis if your diet adequately supplies for the process (no special juice cleanse needed). This process is of course dependent on fixing your nutritional deficiencies so your body has what it needs to do its job. A natural liver detox (without powders and supplements) is a much safer, effective, and gentler idea than a supplemental detox diet. WHY? Because eating whole foods instead of synthetic supplements and powders gives your body more well-rounded nutrition with a wide spectrum of nutrients to DRIVE detoxification flawlessly! FILTRATION. First, a good baseline of nutrients allow the liver the ability to filter the blood; identifying both good things (food and nutrients) and bad things (toxins and harmful substances). This is similar to finding stains in your laundry. PHASE 1 DETOXIFICATION. Next, the body uses enzymes and nutrients to transform the bad guys (toxins, used hormones, RX drugs, food additives, etc). The goal of this phase is to begin neutralizing a toxin and start to make it into a water-soluble compound that is able to leave the body. However at this half way point, toxin reactivity actually increases, and can cause problems if it does not continue to phase 2 right away. Think of phase 1 detoxification as a pre-wash cycle. ELIMINATION. Lastly, the toxins are eliminated out the digestive tract via bile, or via the kidneys in urine. Much like the drain and spin cycle. Liver detoxification supplements (protein powders included) are often of low quality; they contain irritating additives/fillers, and most of the raw materials are imported without strict regulation regarding safety and purity. These foods are also “refined” with much of the nutritional value stripped out during processing. Empty foods such as these can compromise your detoxification abilities, causing your body to retain toxins rather than excrete them. Alternatively, when you invest in whole foods or whole food supplements, your body is energized with nutrients for supporting liver detox. Your system is ultimately the product of your daily habits and what you choose to eat, NOT what you do or don’t consume for 16-48 hours. Your daily diet should support the detoxification process– not through a ritual you do 1-2 times a year. Focus on the bigger picture: learn to fuel and meet your body’s needs on a daily basis, because what you eat 3-6 times per day, 365 days per year is what really counts for keeping your liver healthy. Society seems to be very focused on eating “less” and “dieting,” and cleanses/detox diets can reinforce that. I find that my clients actually end up needing far MORE food and nutrients than they think because common issues like a slowed metabolism, poor digestion, and nutritional deficiencies can actually down-regulate the appetite to some degree. In the end, you want your body to FUNCTION better, and naturally detox more efficiently. 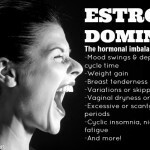 This is achieved when you give your body what it needs on a DAILY basis, not when you play restrictive, limiting games. From my perspective, it’s hard to make a blanket recommendation on cleansing (without knowing a person’s health/dietary history), but my general recommendation is against liquid fasts and cleanses. Because proteins DRIVE the detoxification process, cleanses based on juices, fruits or vegetables do not make a lot of sense. Any time you partake in a fast or cleanse (with the exception of when you have the flu!) you are forcing a regimen on your body, and that often that means ignoring your own bio-feedback, cravings, and intuition. 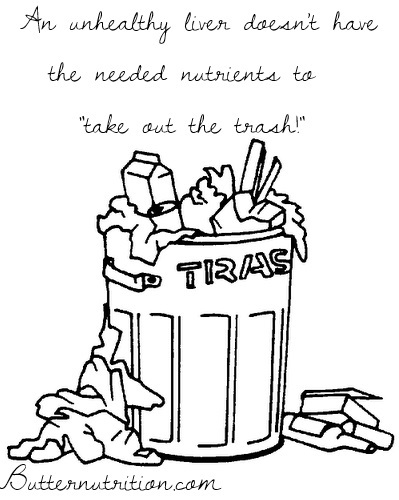 According to Dr. Ray Peat, “Any craving is a good starting point, because we have several biological mechanisms for correcting specific nutritional deficiencies.” For example: if someone is in a hypo-metabolic state (slowed metabolism), the body naturally holds on to more water in tissues, craves less water, and craves more salt and solid food. Partaking in a cleanse in the form of a liquid diet would do much more harm than good for this person. The best way to support your body’s natural ability to detoxify is by making sure your body is getting the nutrients that it needs through your diet and supplements specifically based on your body’s data. It’s amazing to watch my hair analysis clients start to detox naturally when they start getting the minerals their body is deficient in, that we determine though testing. Regardless of your decision to do or not do a liver detox/cleanse, don’t ever forget that your body is always talking to you about what it needs. Learning to listen to your body is an amazing tool for building your nutritional wealth so that you can empower your body’s natural detoxification system! The vitamins and minerals in fruits drive phase 1 of detoxification. Costly detox diets and cleansing routines are a waste of money, because organic fruits, vegetables, and fresh fruit juices fuel this first phase of detoxification much more efficiently. Choose ripe fruits that are high in vitamin C for maximum antioxidant protection. Some great choices are organic oranges, pure orange juice (without additives), kiwis, berries, papaya, and pineapple or choose a whole food supplement for a little extra help. Beets are an amazing liver detox and beauty food (I love taking a “shot” of this stuff when I don’t have fresh beets on hand). They have the ability to help thin your bile, which allows the body to detox more efficiently. 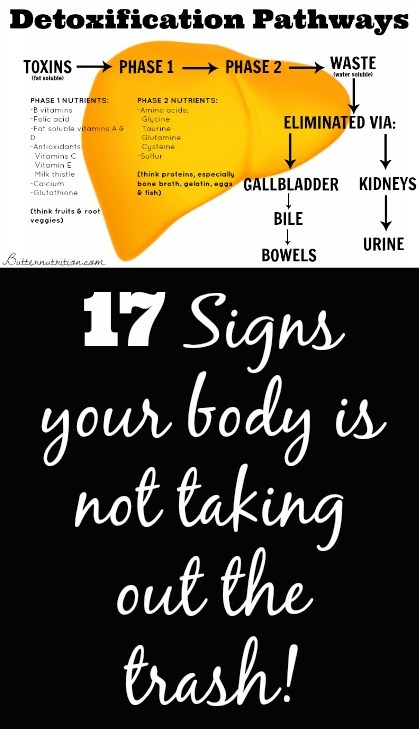 A common problem is sluggish/stagnant bile flow. After toxins are neutralized in the liver, they are dumped into the bile (bile duct is a river for toxins to move out of the body) and when the bile gets too thick, toxic matter can’t flow out of the body quick enough (leading to fatigue, low energy, constipation, PMS, toxicity and disease)! Regular beet consumption (and a nutritionally wealthy diet) can help strengthen this process naturally! Buy beets and shred them in your food processor. Have a little raw beet slaw (with lemon or apple cider vinegar, salt ,and olive oil) daily or as often as you like to help fuel your natural detoxification system. Your body needs a certain balance of amino acids (the building blocks of protein) to support your bodily functions, particularly liver detoxification. The very balance you need is achieved when you eat “the whole animal” and ALL of its parts. When you eat just “muscle meats” regularly, including chicken, pork, beef, lamb, etc. you tend to create an amino acid balance in the body that favors inflammation, and starves your liver. It is very important to balance the amino acid profiles you consume. Non-inflammatory proteins such as eggs, fish, gelatin, dairy products (milk, cheese), shellfish, and organ meats are excellent choices to increase in your diet to better support your detoxification capabilities. Try having muscle meats every other day if your intake of non-inflammatory proteins is low. One of my favorite ways to make this easy is to have bone broth and this kind of gelatin every day. But be sure to read this article, so you know how to dose it properly! Healthy detoxification and liver health is absolutely essential for good digestion, a healthy metabolism, and proper thyroid function. A good nutrition strategy goes a long way for overcoming poor detoxification without confusion and expensive synthetic supplements! It’s also important to avoid foods and supplements that can harm your liver in excess, like iron and vitamin A. If your liver needs some TLC so that you can experience more robust health without fatigue and digestive sensitivity, address your nutritional debt to make sure your body is getting what it needs! Is your nutritional debt impairing your liver detoxification? Take the quiz below to find if nutritional debt is the source of your detoxification issues, and what you can do about it! Peat, Raymond. Nutrition for Women. Eugene: 1993. Trash Can Clipart: Used with permission from Microsoft. Thanks Lora for your kind words! Good grief, I am stunned after reading the symptoms list. My 4th pregnancy wacked out my eating habits, I became addicted to sugar. I’ve always been thin, it was easy, 4 kids and no dieting ever. Until now. Now my skin is saggy, there’s cellulite, a wine allergy (I get sick after half a glass, and severe hangovers from all alcohol), off and on nausea, fatigue, constipation. I kept thinking what a weird list of symptoms, what is my deal? Then I happened upon this article! Not that I’m disagreeing with what you’ve written, I’m just wondering what sources you got this information from? I’d love to read the journal articles (or whatever sources) on my own. I didn’t use a lot of references on this particular article. It is more a combination of my personal research and learning over the last 10 years (as well as clinical experience with clients). Dr. Ray Peat’s books & articles are a great place to look for further research on the liver and detoxification. Is there a particular aspect of the article you are looking for information on (ie. supplement quality, liver detox pathways, metabolism, etc)? I would love to help direct to further reading. Hi I’ve been on pain medication for about twinsets now after having a wisdom tooth surgery. I was wondering if it’s safe now that I’ve been off the meds, to detox boy liver ? I feel as if I’m walking around with something inside me. That should be I’ve been on pain medication for two weeks..
I’m brand new to your site and love it! Wow, what a wealth of knowledge. I’m trying to figure out if my issue is liver stagnation, lack of stomach acid, lack of digestive enzymes, etc. but my biggest problem is not being able to digest many veggies ESPECIALLY raw veggies. They wreck havoc on me and send cramps all the way up through my rib cage. I thought of asking you this because beets give me pain/bloating when I eat them but I love them. Is this because my liver is “clogged?” Or does it sound like it’s an enzyme/stomach acid thing? I’ve been drinking a lot of ACV and lemon water to help detox but I just haven’t pin pointed the exact source. The beets made me think of this so I’m curious if you had any thoughts on that, please? Great stuff Catherine! Our bodies never lie, so it’s always a good idea to listen to your body when it feels run down. A detox diet can help you feel physically and mentally fit after just a 1 – 15 day programme. I would like to do a detox program can you help with this what do we do? what can we eat? I had hep B when 16 and many drugs (medications) that i think have left me with liver problems (long story). Any help would be greatly appreciated. LOL she wrote in the article that she’s NOT an advocate for detox diets. Spammers. I use a non-denatured whey protein supplement that uses glutathione as its major detox agent, and then once a month do a 2 day mineral cleanse. I’m sure you’re busy but would love you to check it out for me and see if you think it holds any validity! It’s been amazing for long-term energy so far. Beets are high in oxalate, which has been shown to be a major cause of many health issues. Do the benefits u the possible negatives? How much beet do u recommend? I had the same qu re oxalates and am wondering if the girl above who can’t diogest them has this isssue. THey are off the charts high. Thoughts? Do you support an intermittent fast? Also, you stated that the liver needs animal protein to detox, so are vegans detoxing improperly? There are NO vegan diet dangers. Veganism is the healthiest diet known to man. Have you read the China Study lately? Vegan girl, If Vegan diets are so healthy, then please tell em why my hair fell out, my teeth crumbled and I ended up with liver, thyroid and digestive issues after 9 years of being vegan.. There are no traditional vegan cultures anywhere in the world. Veganism is the construct of modern humans .. It is extremely dangerous to most people and many of my friends went back to eating meat after getting very ill from being vegan.. I personally have been eating a whole foods omnivore diet which is high in animal fats and meats and low in fiber and starch for a few years now. My doctor says that my cholesterol and blood pressure are excellent. I’m 45 years old. Thanks for the links. Do you think intermittent fasting on a daily basis can detox the body properly? Besides intermittent fasting, do you think it’s necessary to also do 24-48 hours fasts on occasions? Is there a big difference between intermittent and 24-48 hour fasting? Do you know what the implications are for detox if you don’t have a gallbladder? My gallbladder was removed after my first son was born 7 years ago. I have felt my health declining since and have not been able to lose weight. I’m had doctors say gallbladder isn’t necessary, others say I have to take supplements for the rest of my life. I can’t find any good clear help. Beet slaw is amazing – fresh beets are really good. I find fresh beets to be a lot like shredded fresh carrots. I solved a bunch of gallbladder issues by really increasing fresh beats and using flaxseed oil. Gotta say though, cooked beets, still gross. 🙂 People should try a fresh shredded beets if they haven’t already. Don’t let the cooked ones ruin it for you. Instead of boiling beets, try baking them. Wash them, cut off the greens and tap root, do not peel. Wrap them in foil and bake 45-60 min depending on size at 400 degree oven. Use a knife to make sure they are soft, but not mushy. Leave foil open and let cool. Then you can slip off the outer skin. They are wonderful in salads, sliced, or anyway you choose. Boiling ruins beets. Takes away color and flavor. Baking keeps in the nutrition. Yes your right i also drink beet juice and also lemon juice for my daily liver detox they really effective on liver cleansing. 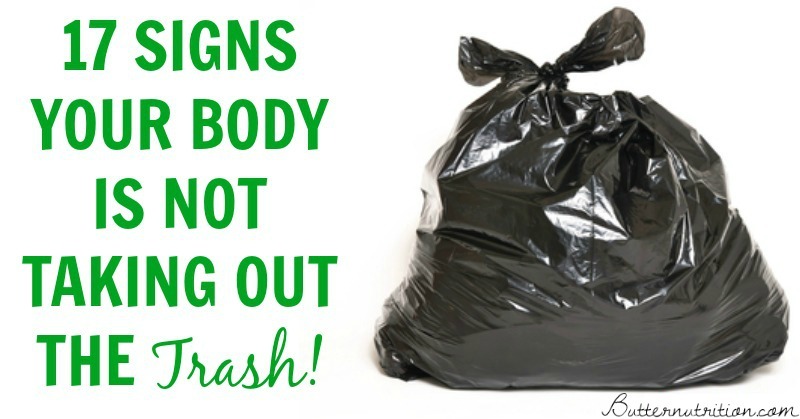 OUTSTATING INFORMATION…and your writing style is wonderful too. However, just one critique: You should proof-read your work and correct the errors and omissions. I am not even finished with the article and i am already so thrown off and at times frustrated as to what you are trying to say. ——-But OTHERWISE, Wonderful Article and Great Information – Thank you again so much. Lol Steven Michael….ur first word itself is a typo…shudnt it b outstanding n not outstating? I wanted to ask if a specific beet is better then others (gold,red etc) for this purpose. I feel like I’ve stumbled upon truth. After my 5 year long journey to find answers AND listening to my body’s needs, what you describe is EXACTLY what I’ve felt. Whoa, marvelous site page layout! How much time have you been writing a blog pertaining to? you’re making writing a blog seem simple. The complete appear of your website is superb, along with the information! O wow- i have been wondering and asking all over about the pain between the shoulders when detoxing- was sooooo thrilled to see that on the list! I’m curious- what is the mechanism with that- what is happening to cause these sensations physiologically? Thank you so much for all the wonderful information! The graphic is incorrectly naming Folic Acid as a phase one nutrient… It is synthetic. FOLATE is the actual nutrient found in food that isn’t fortified with the toxic to some synthetic ingredient. I thought that a liquid cleanse was the only real way to address liver issues. Reading through this post about feeding, rather than starving, my liver, makes so much more sense. Thank you! I have stage IV metatastic E R receptive Cancer. I have three lesions in my liver. What foods should I avoid? And what are the best for detoxification? I am currently taking Letrazole as chemo therapy. Meat is not necessary for ANY body processes, as proven by the China Study. Meat, eggs and dairy are highly inflammatory and leach calcium and other nutrients out of the bones. Even if one goes with a good liver detox supplement, the results will only be temporary unless it is accompanied with permanent life style changes. What are your thoughts on coffee enemas? They are supposed to speed up the bodies production of glutathione making it easier to detox. I looked into this because I started having seizures 6 years ago and the neurologists had no idea why but when I went to a hollistic doctor and he gave me a heavy metal test and found that my mercury levels were 26 times “normal” level. He believed that my body was slow to eliminate toxins and this was the cause of the seizures. So I started taking chelation pills to flush the mercury out and it took over a year and a half of taking this medication to get my mercury levels down. He also gave me glutathione supplements to take. After all this time I have seen a decrease in seizures which makes me believe that toxins are my issue here. But it has been such a slow process. I would like to speed things up a bit. 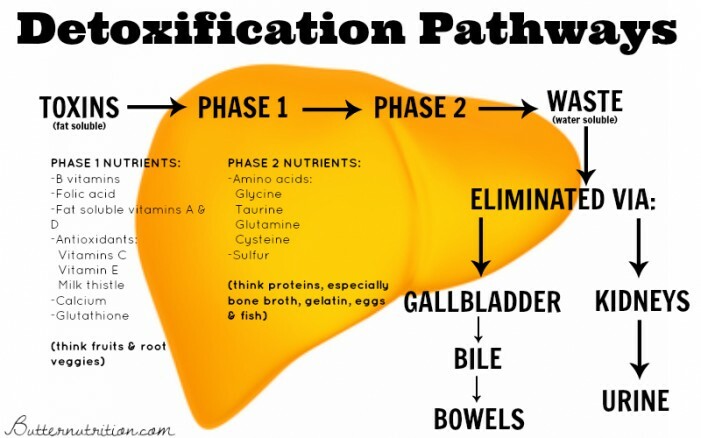 I just have a question in regards to the liver detox, how long to you do phase 1 and then phase 2 and I seen that you said at least 2 times year. I really felt your information was useful. Thank you for your time on this matter. I just love your blog! I have found the answers to many of my questions here. I love the beet slaw i will definitely try it! The only comment i have is that the font of your blog is too light and after reading for a couple minutes it hurts my eyes! As a designer i recommend you use a heavier font, It will be more attractive and easier on the eyes, hence making it more popular and enjoyable to read, other than that everything is great and keep it up. I had my gallbladder remover over 20 years ago. Have I done irepairable damage to my body? I was reading through a few of the comments posted concerning your Detox process.. To begin, I regualry read information from you as I signed up for email notifications. I am a Family Nurse Practitioner, I have a (DNP) Doctor of Nursing Practice Degree, and my passion is health, nutrition and weight loss. Although you may not recieve all of your information from medical journals, I have not come across anything I have not or can not reference with medical research. Your article on Liver Detox could not be more correct and I fully support you. A Vegan is missiing key nutrients that are only provided by meats., you can try with complete proteins such asl (1) Amaranth, (2) Quinoa, (3) Buckwheat and (4) Soy, just to name a few, but one has to remember what components the body need to function effectively. Additionally, if you do research on any of these, all will give you drawbacks if overconsumption occurs,, for example Soy is a phytoestrogen so it can increase risks of certain cancers or hormone imbalance. Hair loss is common in Vegans, because again they are missing important nutrients, particularly Vit B12, so they have anemia. Anemia in almost any form whether pernicious or iron-deficiency will contribute to hair loss, again it is the pathophysiology of how the body works.. Hair is made of the protein (Keratin), therefore your body will require proteins to keep it strong and growing and the iron provided by red meats. Iron combines with oxygen (hemoglobin) which again is a protein (metelloprotein), . In closing, a Detox does not include pricey supplements, a detox is a process of allowing the liver to heal by not producing stress on it by trying to process sugars and inflammatory meats as you said. A detox should consist of berries (antioxidants), other fruits, and a small amount of complex carbs ( sweet potatoes,, idaho potatoes, or any carbohydrate you can grow yourself). Milk Thistle and Dandelion Root teas are effective at repairing, but also remember to check with your physician prior to taking on any endevour. Finally water, calculate your weight, divide by 2, whatever number you get is the amount in ounces of water you should consume daily. I love reading your emails, Keep up the great work!!!!! Thanks Tara for the kind words and sharing your wisdom! I am not proponent of veganism, having been a vegan in my teenage years and having experiences all the side effects of a poorly balanced vegan diet – hair loss, rashes/breakouts, low thyroid finctioning, disregulates digestion and metabolism, etc. My question is about algae, since some vegans claim thaat certain algae like spirulina contain sufficient Vitamin B12. I take Spirulina as a supplement but have a diet that includes eggs, some muscle and organ meat and fish along with buckwheat, quinoa and other protein packed seeds. If I were to lower my meat intake for a while ( i.e. summer) could I balance out the lower vitamin B12 intake? It is great to read well researched and — breath of fresh air- type of information. I have always had conflicting feelings about the 24-48 hour or a few day juice detoxes. It always seemed so extreme for me, and worry about those with Diabetes or sugar issues. Hypoglycemia is the first thing that comes to mind. This article confirms my philosophy. It is crucial to listen to our bodies and feed it wholefoods to help it do its job. I occasionally make a juice for breakfast consisting of: green veggies, lemon, dandelion root, radishes and add a few drops of milk thistle when I feel my liver needs it. I adore beets, and you just reminded me of that lovely beets salad. Very interesting and informative. Answers questions not dealt with by general doctors visits. Can you tell me is it normal to feel tightness in upper right chest when using things like milk thistle or artichoke tablets to help a fatty liver. I have had gallbladder removed some years ago and am trying to help myself as doctors seem to be of the opinion, its out carry on ! Thanks for your help. I cannot believe you think dairy eggs and meat are non inflammatory and good for you. Anything you said just lost all validity for me. You are obviously a meat eater nutritionist and therefore follow that agenda. We each have unique body, Susan. Several vegetables are inflammatory to me. Too much folate makes me feel horrible. I was eating pretty close to macro-biotic, and feeling bad most of the time. My very knowledgable, very alternative registered dietician who is very well versed in MTHFR, informed me that I was anemic. Eating the right meat now, and for me, it does not cause inflammation. I support you in knowing what is right for you, and I trust my knowledge of my own body. It has been a 12 year journey, and I pay very close attention. Now, there is a great app I use called “Intolerances” which helps me when I am choosing foods. Yes, dairy is a very inflammatory food, but meats, not much. Of course, this is highly individual, but the overall most highly allergenic foods, besides dairy, are all vegan staples: Whole grains, nuts, soy. Eggs, fish and meats are trailing way behind those. I agree with most of what you said except for dairy. Dairy consumption for me is very inflammatory even in raw form. Also those of us with MTHFR need extra support to detox. Me too, I think dairy is one of the most inflammatory foods. My mother-in-law, 87, loves dairy, and has issues like arthritic pains and autoimmune issues. Today I went to the 90th birthday party of a client: He walks barefoot or in sandals year-round (coastal California, so not so cold), walks the beaches every day, and plays in a jazz combo! (named “The Forgettables”). He adopted a semi-paleo diet decades ago, long before it became a fad.